(VOVWORLD) - Hai Phong has done its best to restore and promote the art of ca tru or ceremonial singing over the years. This is reflected in the successful revitalization of the Hai Phong Ca Tru Guild after 25 years, with beautiful performances, young female vocalists, instrumentalists and musicians. More than 10 female vocalists and musicians around the age of 10 indulged themselves in performing some famous pieces of Ca Tru singing called “White and Pink Peach Blossoms” and “Orchids”. 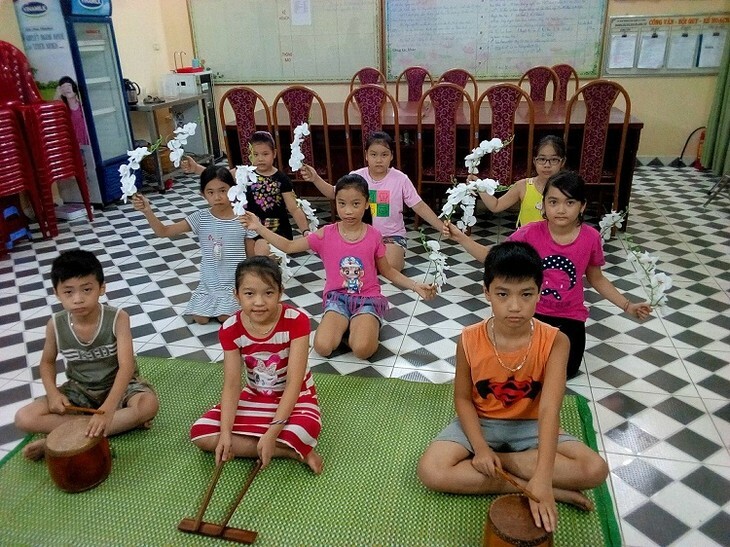 They have been members of Nguyen Cong Tru primary school’s Ca Tru singing club since last May, and are attending classes by artisans of the Hai Phong Ca Tru Guild. “I always long for Tuesday and Friday when I can go to the club to sing with my friends there. I love ca tru singing very much and I often practice singing and creating beats with my two pencils,” said a young vocalist. “I’m very happy and glad that I can sing ca tru and introduce the art form to the wider public,” said another young female singer. The club was one of five ca tru singing clubs established and trained by the Hai Phong Ca Tru Guild since 2015. In addition to young members, the club also attracts people of different age groups and professions to participate. "The kids practice very hard and are proud to perform traditional art form, which was recognized by UNESCO. After just one year, they are now able to play as the drum praiser. A drum praiser is supposed to be sensitive to the music and be able to create the drum beats in harmony with the female vocalist’s singing, and the instrumentalists’ playing of the three-stringed lute," said artisan Bui Dinh Thao, a praise drummer for the guild. 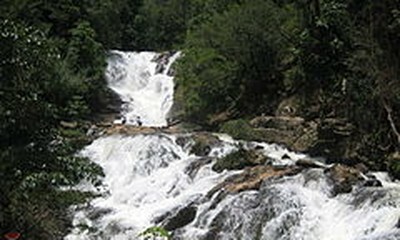 The Hai Phong Ca tru Guild was formed in April 1993. At first, known as a ca tru singing group, it was operated inside a poetry club in the city’s cultural center. The guild is now home to 7 folkore artisans, 1 meritorious artist, and 1 artisan, with regular practice sessions organized on the last Saturday morning of every month. During its 25 years of operating, the guild has collected a dozen gold medals and awards at national ca tru festivals and is proud to have passed on their love for, and skills in ca tru singing to the younger generation. "I was lucky to learn this art form directly from the elderly artisans. And now my students pass on their performance skills to the younger generations. This way, we hope to better preserve and promote Ca tru for a long time to come," said Meritorious artist Do Quyen, Head of the Hai Phong Ca tru Guild.